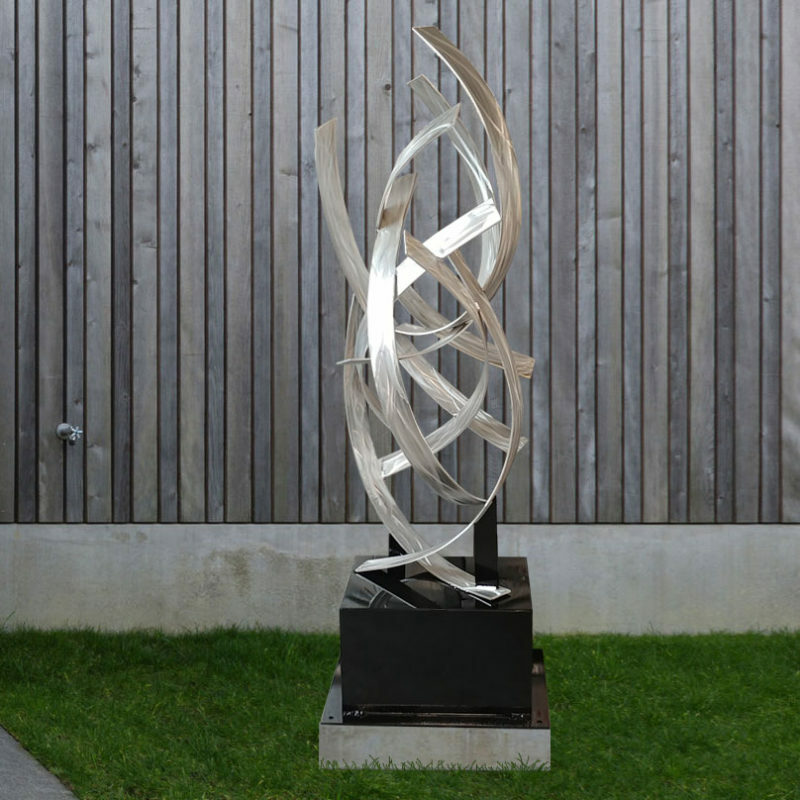 Ricochet is a polished large stainless steel sculpture fabricated for luxury. Every piece bent, textured, welded and coated by the artist. 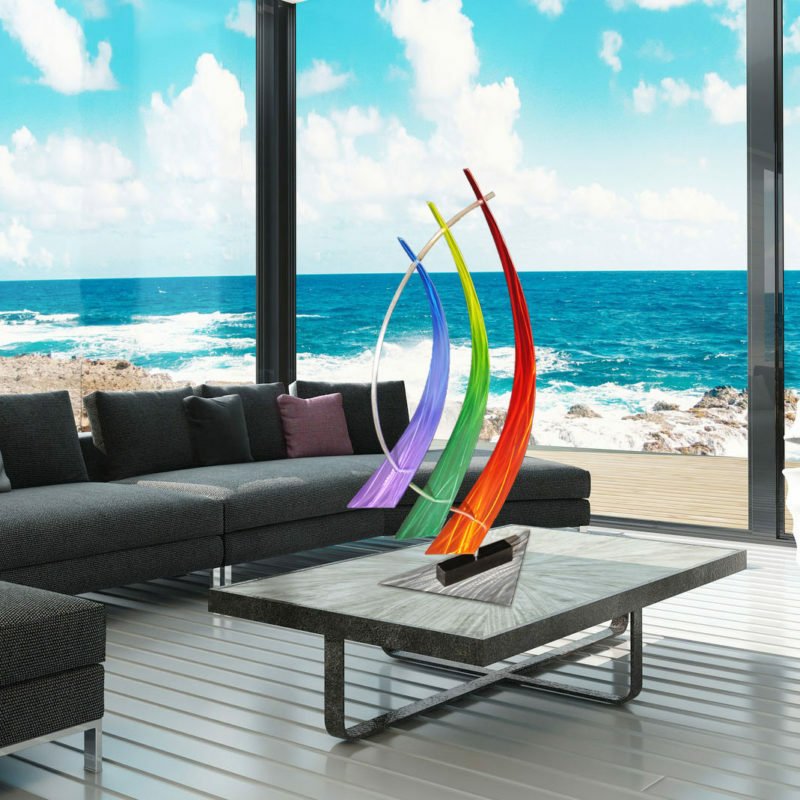 This piece is powder coated in clear for ultimate weather resistance. The polished stainless catches several lights and colors from it’s surrounding environment. 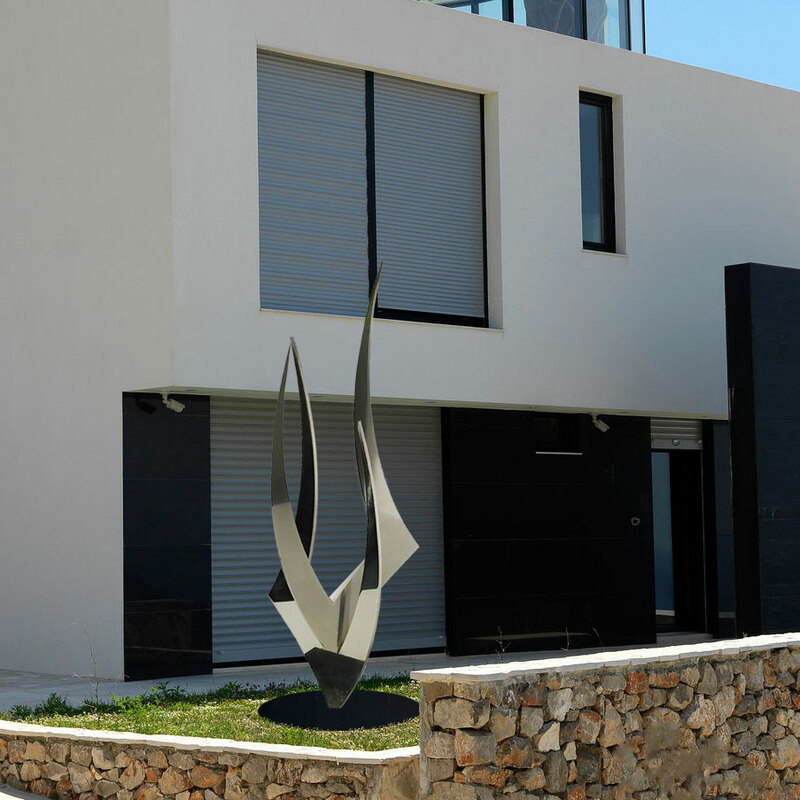 This large stainless steel sculpture changes shape and the dynamic polished look reflects like a mirror. This exclusive polished stainless is a multiple stage process that is high quality and high visibility. 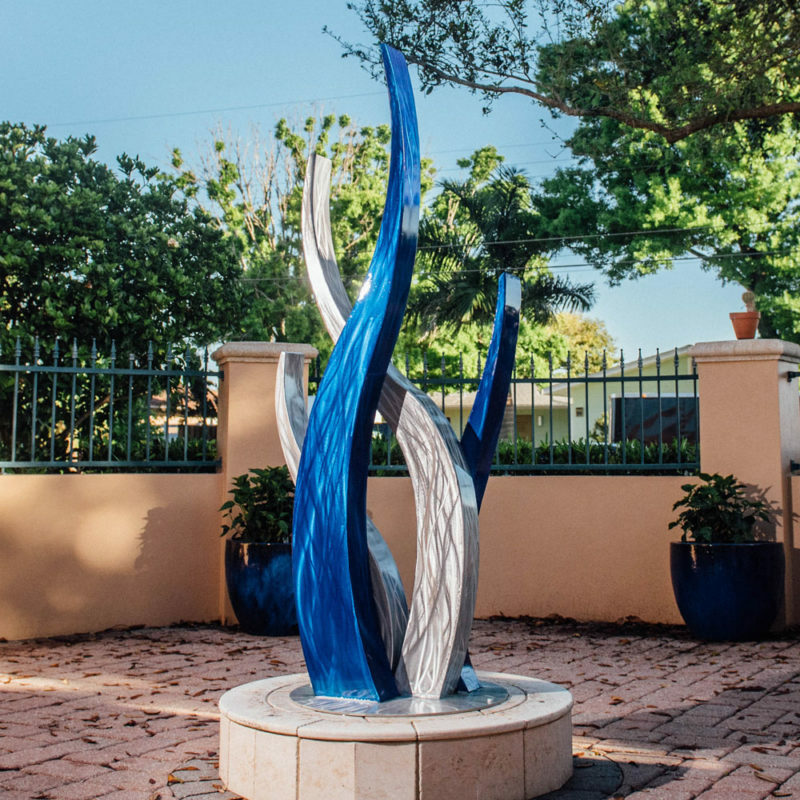 Make a lasting and profound statement with a signature sculpture by Dustin Miller.